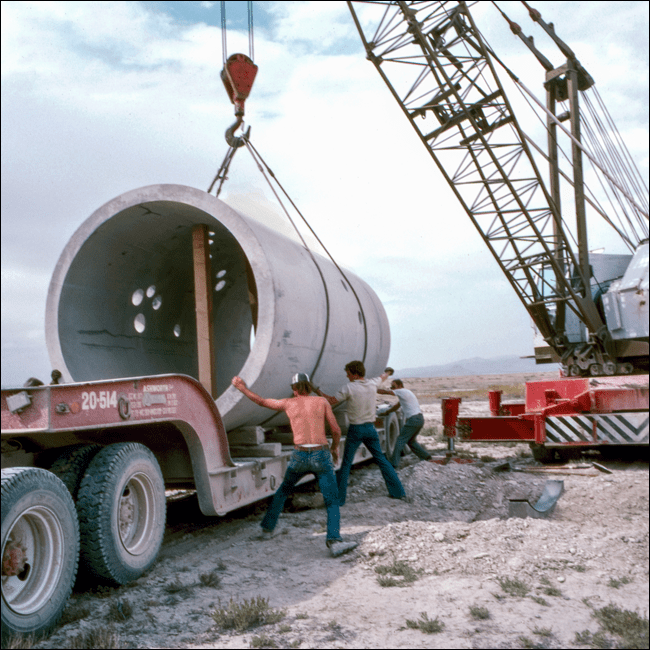 Troublemakers: The Story of Land Art (film still) (2015), directed by James Crump, showing Charles Ross during construction of Star Axis (1976), 72 min. The documentary film Troublemakers, directed by James Crump, aims to tell the story of American land art of the late 1960s and early 1970s. 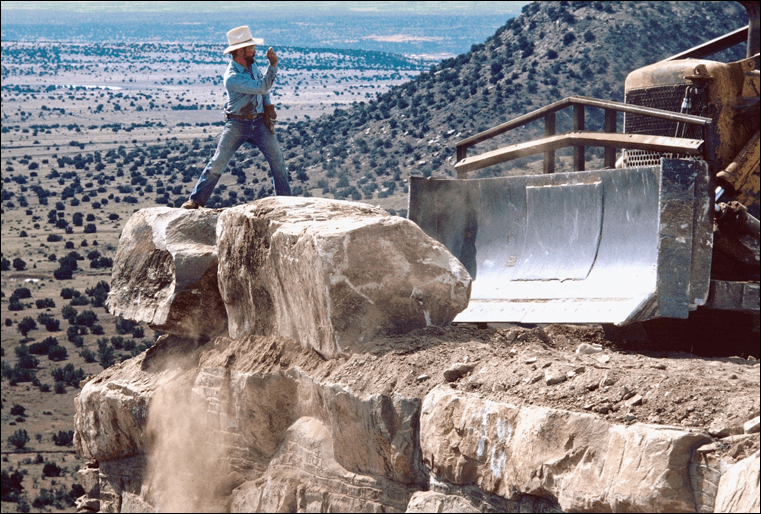 Despite the fantastic primary source footage and a handful of insightful interviews, the film struggles to move beyond serving as a legacy legitimizer for the movement’s three most prominent artists: Walter De Maria, Michael Heizer, and Robert Smithson. With honorable mentions to other artists associated with land art and a basic outline of the art historical conditions leading up to their careers, Crump’s film climaxes by pitting De Maria, Heizer, and Smithson as predictably troubled male geniuses (the quiet one, the wild one, and the smart one, respectfully) in a post-facto race to be the first famous land artist. Relationships between land art, photography/ film, and westward expansion are vaguely established by the documentary, but not pursued beyond suggestion. Primary sources and exhibition ephemera are used as rallying points for celebrating the artists’ auras rather than texts to be read within the frame of their specific time and place. The film does send a well-deserved nod to the short-lived Avalanche magazine and its co-founders Willoughby Sharp and Liza Béar, as well as the dialectical reception of American land art in Europe thanks to Harald Szeemann. However, more thorough considerations of land art’s impact then and now are cut short for the sake of portraying the better-known artists as leaders in the Space Race for a radical post-commodity art. The Museum of Contemporary Art, Los Angeles and The Theatre at the Ace Hotel presented the world premiere of Troublemakers on September 29, 2015 at The Ace Hotel. Additional screenings are listed online at www.troublemakersthefilm.com/playdates. Troublemakers: The Story of Land Art (film still) (2015), directed by James Crump, showing construction of Nancy Holt’s Sun Tunnels (1973-1976), 72 min. Troublemakers: The Story of Land Art (film still) (2015), directed by James Crump, showing Nancy Holt’s Sun Tunnels (1976), 72 min. 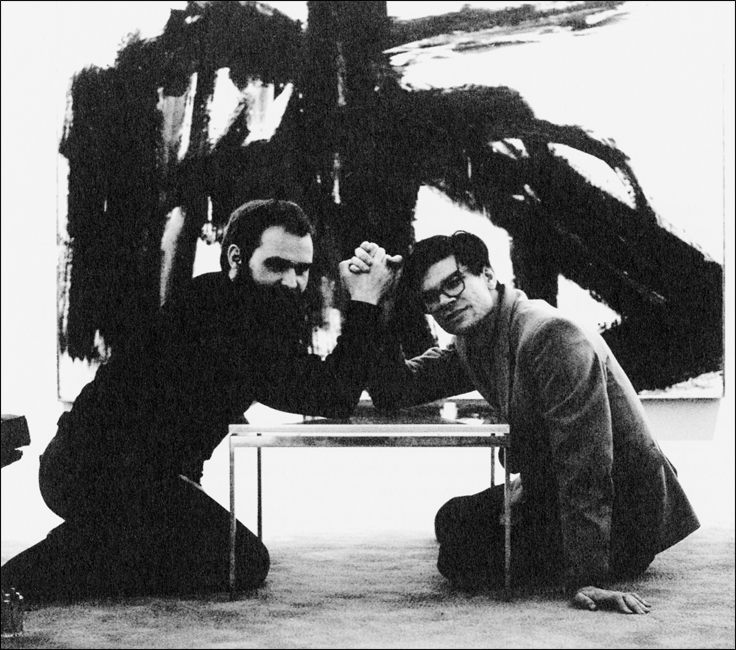 Troublemakers: The Story of Land Art (film still) (2015), directed by James Crump, showing Carl Andre and Robert Smithson arm wrestling at Virginia Dwan’s Dakota apartment, New York (c. 1968). Photo: Virginia Dwan. 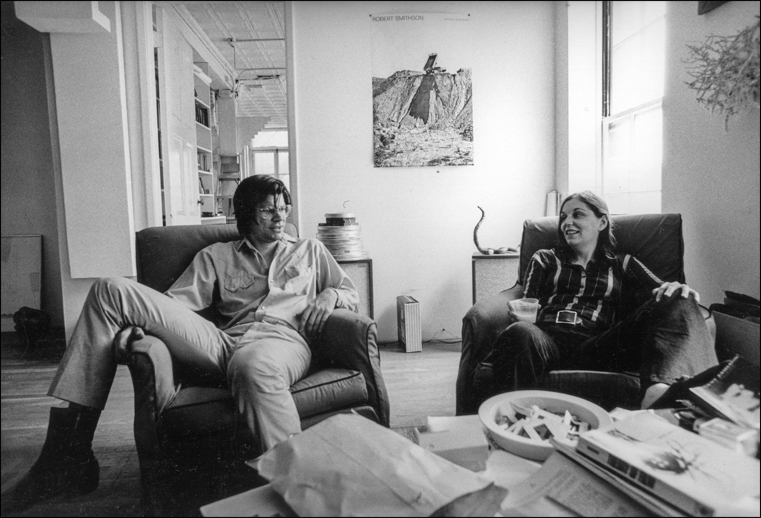 Troublemakers: The Story of Land Art (film still) (2015), directed by James Crump, showing Robert Smithson and Nancy Holt, New York (c. 1970), 72 min. 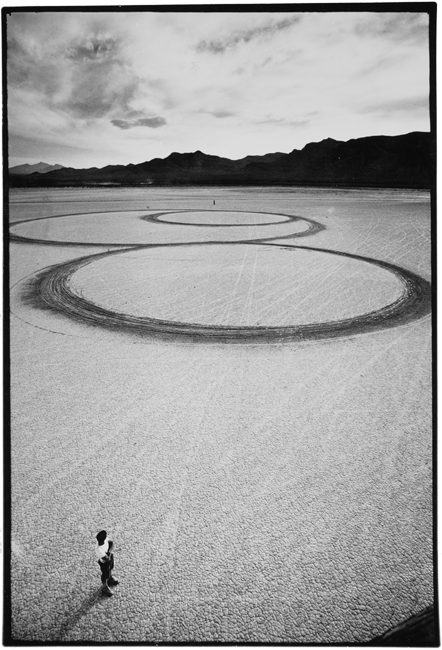 Troublemakers: The Story of Land Art (film still) (2015), directed by James Crump, showing Michael Heizer’s Circular Surface Planar Displacement Drawing El Mirage Dry Lake, (1969), 72 min.